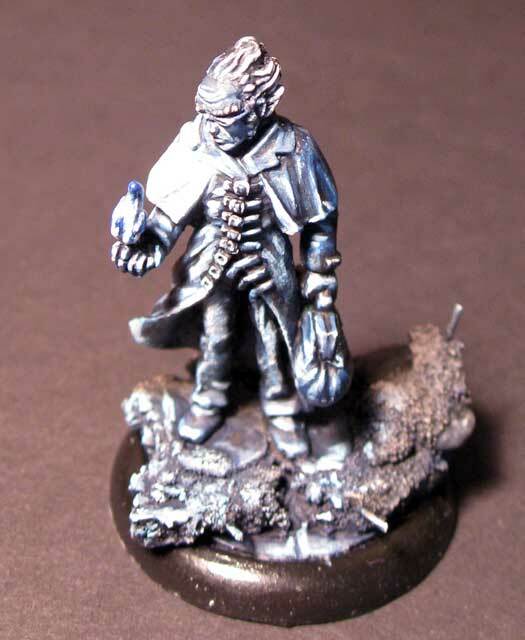 Malifaux – Just about finished with a commissioned Ramos. The client want a paint scheme similar to the old photo of Ramos from the Wyrd site (when he came on a bigger base with a spider). I'm pretty happy with how it turned out. On his back is the symbol for warrior. The base was built to match the Dark Age inserts he will be using for the rest of the crew. 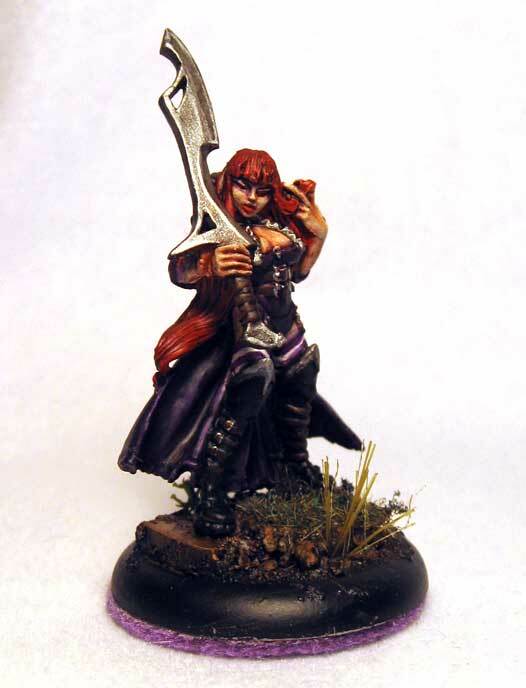 I've finished the Lilith's Brood box set. I used a color scheme similar to one that I've been working on for my Slaanesh Chaos Daemon army for 40K. You can see all the pictures in the gallery. The mountain mining town terrain I've been working on is coming along nicely. I have several variations of tree stands that work fine as forest templates or as WYSIWYG terrain. Campsites and rocky outcrops round out the set so far. I feel that it needs an actual mine. We used the set for our Sunday night game. For a three player 25 Soul Stone Scrap on a 3x3 table it worked nicely. Having two campsites on the table resulted in some really nice control hands (and a quickly depleted deck).